I sent a Freedom of Information request to the BBC recently. The BBC refused to supply the information. The refusal was blunt. I regard this as a minor success. 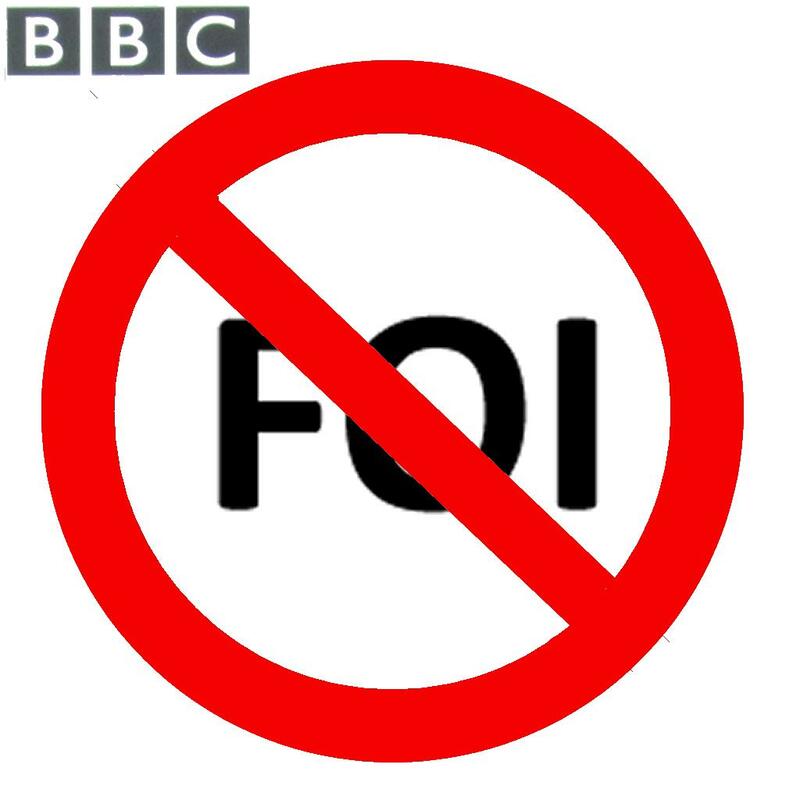 Some of my other FOI requests are described in other postings. The replies to these were much less clear. Please note that the information you have requested is excluded from the Act because it is held for the purposes of ‘journalism, art or literature.’ Part VI of Schedule 1 to FOIA provides that information held by the BBC and the other public service broadcasters is only covered by the Act if it is held for ‘purposes other than those of journalism, art or literature” 1 . The BBC is not required by the Act to supply information held for the purposes of creating the BBC’s output or information that supports and is closely associated with these creative activities; however, on this occasion we’re happy to provide the following information in response to your request. Lots of existing facts missing like the Arctic sea ice extent at level not known for thousands of years, huge acceleration of glaciers speed in Greenland and Antarctica, record acidity in ocean for millions of years and that will be deeply damageable for fisheries and human food supply, sea level rise, extension of dry areas as already a fact. Pause in warming which is a closed issue and not an issue at all if we consider the heat content and exchange ocean/atmosphere…. Maybe they could have taken some of the wasted time discussing the climate sceptic and replacing by basic explanation of Milankovich cycle and the fact that we now should be in a cooling period based on the 22000 years tilt cycle and that the opposite is happening, this is straightest way to cut off the mouth of climate sceptic. The guy even mentioned that we are still getting out of an ice age!!! Mistakes about Himalayan glaciers is cherry picking and biased if they do not mention that on the other hand far more important SLR, feedback effects, in IPCC reports always lag behind the latest research due to cumbersome and slow IPCC process…. All extremely disappointing, and depressing, I understand why the climate change debate is a non event in the UK mainstream political arena, when the main media in the UK is seeding blurred and false ideas to the general public. This is 1960ies style of video on tobacco. By the way who does and devise this kind of training at the BBC? And yes you are right there should be a way to get better insight about their editorial guidelines. I’ve set up a petition for the “journalism, art or literature” clause to be deleted from the Freedom of Information Act, thereby putting the BBC, Channel 4, S4C and the Gaelic Media Service under the same FOI spotlight they themselves use when trawling the public sector for anything newsworthy. If anyone is interested they can click my name to go straight to it.